I saw a meme the other day on social media that seemed to say that someone was glad they were nearly broke because at least they wouldn’t be a victim of identify theft. It was all I could do to refrain from commenting with all the reasons why this post wasn’t accurate! Although I felt it my duty, I also realize that no one appreciates the various grammar and content ‘nazis’ found on facebook – best to just keep calm and scroll on. But three days later, I’m still thinking about it, and realizing that many people share the same misconception. Even though you don’t have thousands or even hundreds in your bank account, you can still be a very enticing target for an identity thief. It is probably more your good name and credit history they are after, rather than your money. One trick an identity thief might pull is applying for credit – a credit card or a loan – in your name. Because they can use a false address, email, or other contact information, you may never know that you are the proud owner of that credit card – that is, until they default and the creditors come after you! That’s wh y checking your credit report annually is so important. 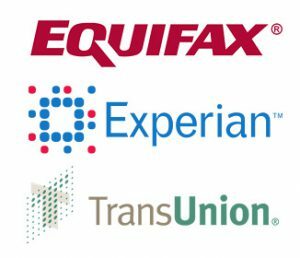 The federal government says you are owed a free peek at your own credit report once a year from each of the three major credit bureaus ( Experian, Equifax and TransUnion) and they provide a website for you to get to those bureaus. Go to www.annualcreditreport.com to access your reports. Some advisors recommend checking that website on a memorable day each year, like your birthday or an anniversary. That is a good way to help you remember when you last checked your report, but I feel like it is difficult to fit something responsible like that in on a day you should be celebrating! Here’s what I suggest: use that handy-dandy smartphone of yours to set up a reminder in your calendar. Make it remind you to check your credit report on the first Monday of every four months. Set it to continue the reminder until you delete it. Now, you are performing your own credit monitoring service – co mpletely free! What about your credit score? While it is important to know what it is before applying for credit, it isn’t something the federal government says you are owed. You can pay a small fee to each of the credit bureaus to get your score. Or you can estimate what it will be by reviewing the five factors that determine your credit score – and that information is found where? You guessed it – on your credit report! For more information on how to interpret your credit report, call me at my office (772) 462-1660 or email me (cagator@ufl.edu) so we can set up a time to review your report together. If you don’t have time for that, I can also send you info to help you do it yourself. Or, stay tuned for a future blog on: The Five Factors That Determine Your Credit Score! ← We Need YOU to Volunteer!